Recognized as the quickest player in the World Cup 2010, Javier Hernandez is a Mexican soccer player, holding a net worth of $17 million. He amassed his net worth by playing with Manchester United, Guadalajara, and Mexican national team. He is presently serving as a ‘forward’ for Mexican national team and Manchester United. 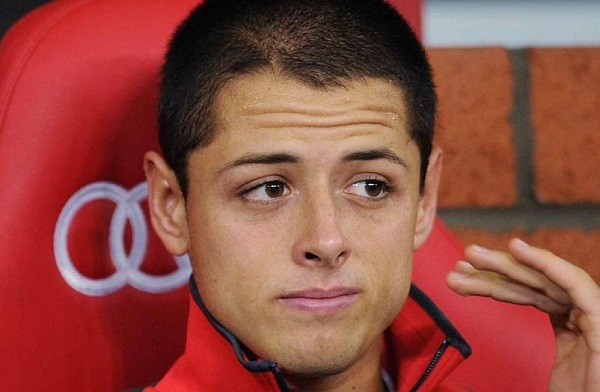 Javier, nicknamed “Chicharito”, was the first Mexican player to link with Manchester United. He was the top scorer of Gold Cup with 7 goals in the tournament and was honoured with “Most Valuable Player of the Tournament”. In the Mexican national team, he is the joint 3rd highest goal scorer of all time. He is also regarded as “goal poacher“. He became the ambassador of UNICEF in the year 2012. He encouraged education among children. He also glammed the cover of FIFA 14. He has endorsement deals with PS3 Game, XBOX 360 EA Fifa Game, EA Sports, and PC Game. In addition, he possesses a black colour Chevrolet Corvette.